Always know what time it is in the world with this Nextime World Time Digit Clock! 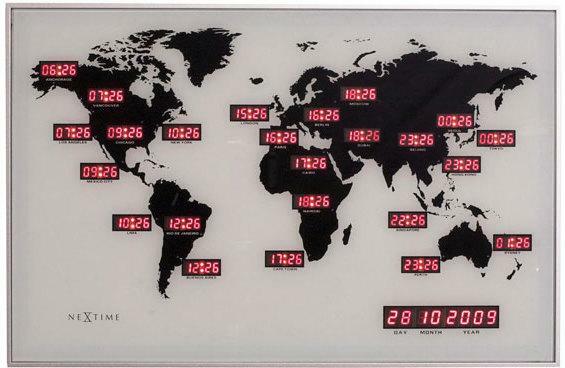 Made for those who love to keep track of time anywhere in the world, this is the grandaddy of digital world clocks. It's the perfect timepiece if you want something that makes a statement. Purchase this and place it inside your living room and transform it into an art piece. It's also perfect for offices where you need to deal with clients or contacts that live on the other side of the globe. This will ensure that you're not calling them at random and weird hours. 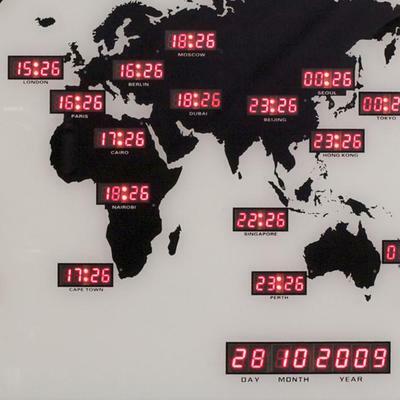 The clock features time in 24 cities across the globe. This includes top destinations such as New York, Berlin or Australia, among others. There's a monochrome map of the world serving as the background with the LED digital displays flash in beautiful red.